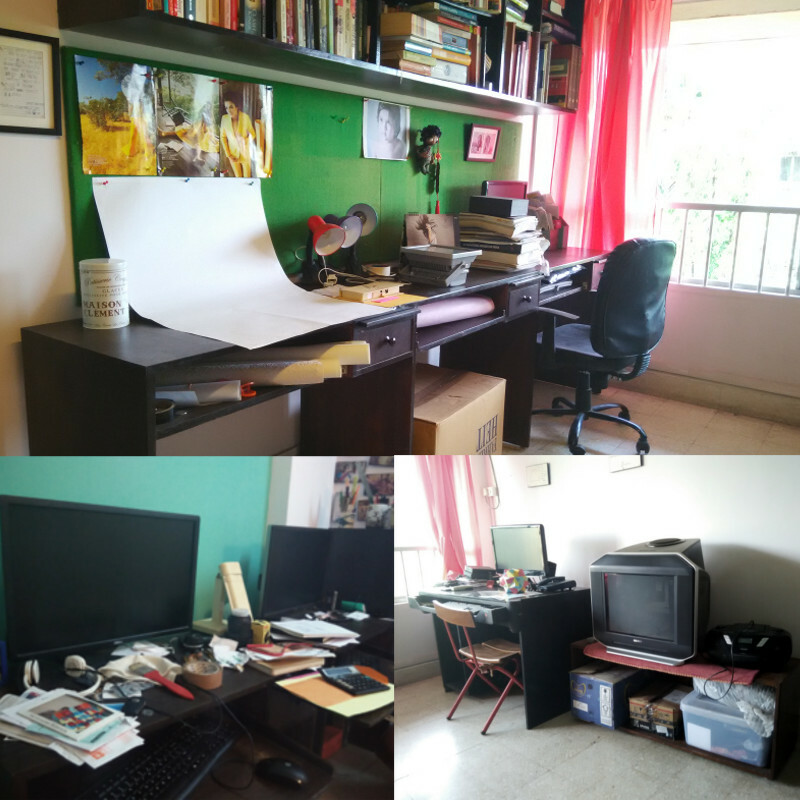 I have been living in Mumbai for a good 8 years and in all these years, me and my husband together have accumulated a lot of stuff. Unfortunately a lot of unnecessary stuff too, things that dont come into use everyday. In a city like Mumbai, where space comes at a premium, and where apartments dont come with big enough lofts or storage space, storing and preserving things can be quite a nuisance. And this is where service like Boxmyspace comes as a huge blessing. Less storage space in apartments is one big problem but there is another equally huge issue that is rarely addressed. Humidity. Ever since we moved to Mumbai, we've had to throw away so much of the electronic equipment because its so damn tough to maintain them in this moisture-heavy weather condition particularly when they are not being used regularly. And its not like you have air-tight lofts in your flats. Oh Wait...Am I asking for too much? Well...it seems like Boxmyspace has a solution to this one too. So what Boxmyspace does is...send you these blue colored, air-tight, very sturdy looking plastic boxes. The idea is to dump all your unwanted, irrelevant, redundant things into these boxes and send them away to warehouses where they will stay in safe conditions, till you claim them back. You can call back the boxes and send them again if you wish to. So that is exactly what I did. I dumped all my hubby's electronic mumbo-jumbo in these boxes that create a clutter in the house but get used rarely. I got rid of a lot of my non-essentials too like woolen clothes that I need only once a year or when I'm travelling. All I had to do was schedule a pickup through Boxmyspace's web portal (they also have a mobile app). Their team arrived with boxes and once I was done with dumping things in them, the guys sealed the boxes with an anti-tampering seal that had the same unique ID as the box. I filled in the inventory sheet of what all I had stored in the boxes and I was done. Its that easy! The boxes will stay in their warehouse till I recall them. 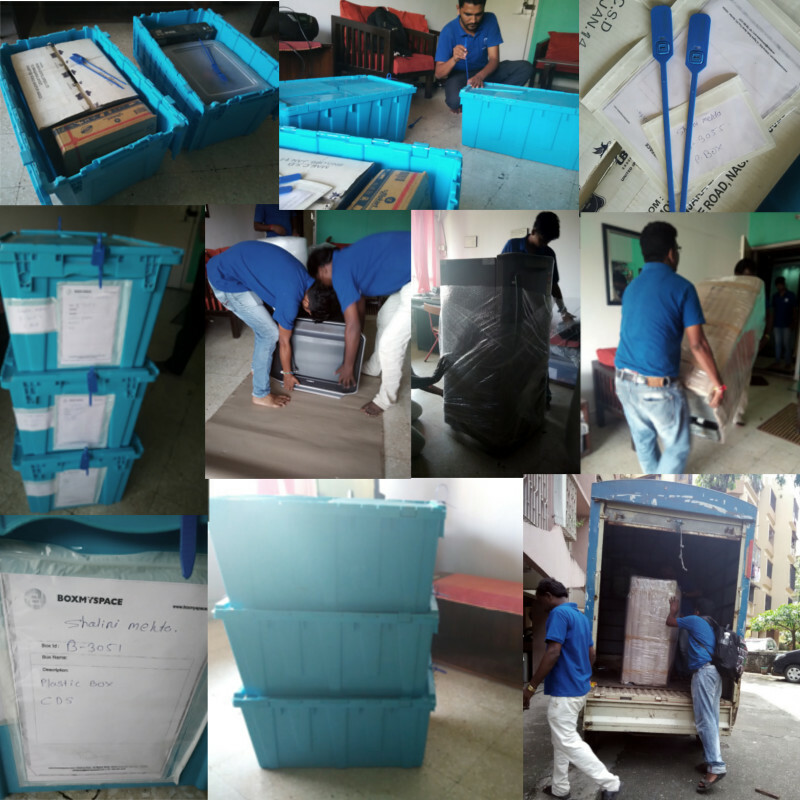 For 69/- per box per month per year with no hidden costs involved, its an absoloutely great service and a needed and much-awaited one. And if you opt for the 4ft or 6 ft 'space plan' (for storing bigger things like TV, sofa-set, etc. 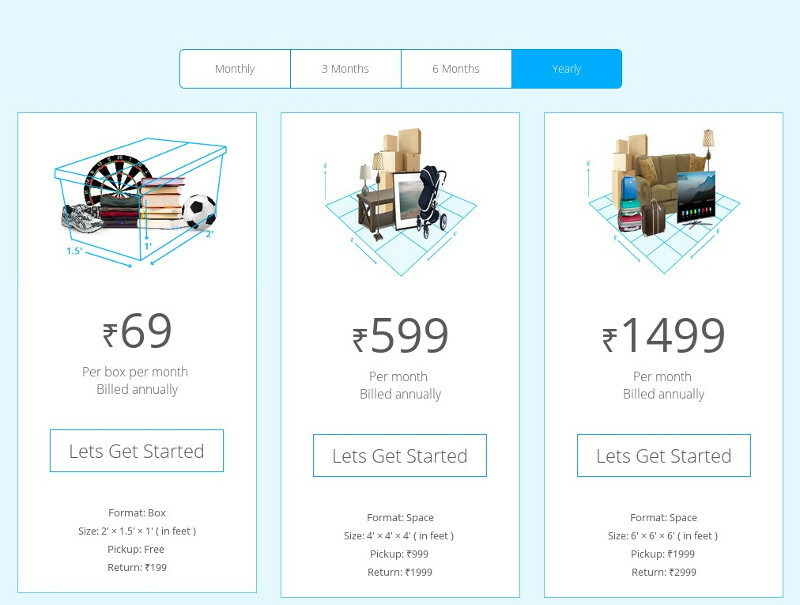 ), its Rs 599/- and Rs 1499/- per month per year respectively. Besides, there is a flat fee of Rs. 199 per box for each return. If you would like to know more about their service or pricing, you can refer to their FAQs section. Also, do check out their facebook and twitter pages. So while at it, I also took the opportunity to send away my old TV set and a small refrigerator that I'm not using at the moment. I can call for them back whenever I want to.